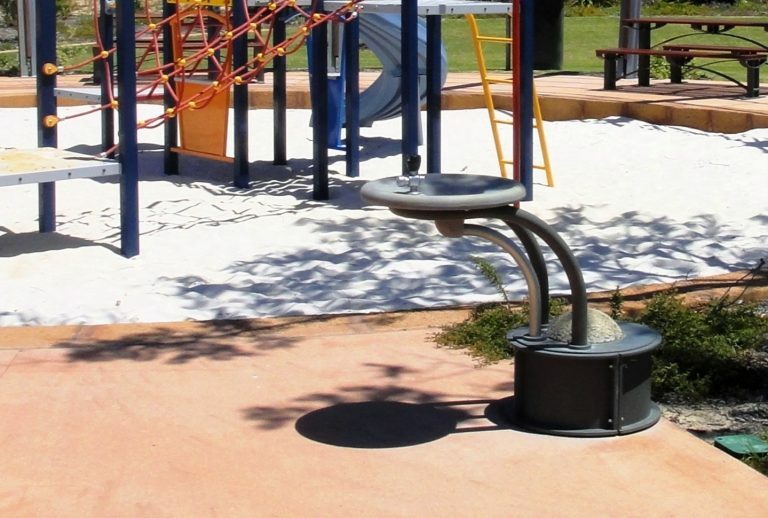 'PROMENADE' street furniture and park furniture - Wheelchair Accessible Drinking Fountain. 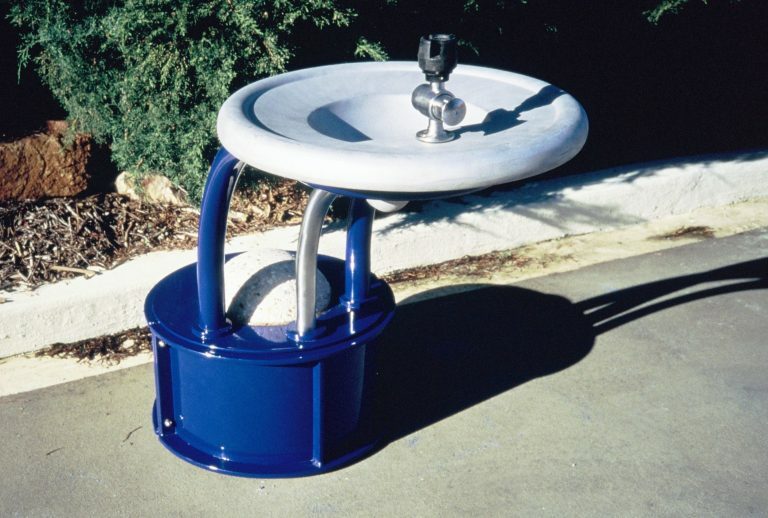 Cast aluminium or gunmetal bronze bowl options with matching bubblers. 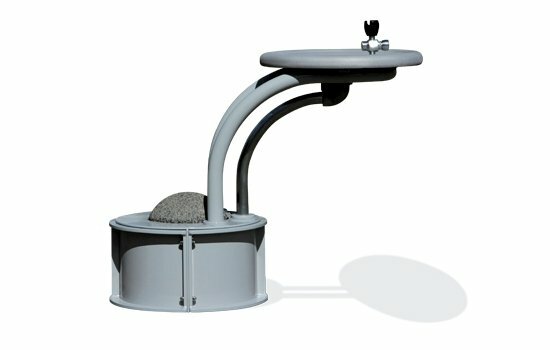 Powder coated aluminium base with cast 'Urbanstone' type domed counterweight that can compliment the surrounding paving.